The International Federation of Sport Climbing (IFSC) has signed a deal in Japan which guarantees free-to-air broadcast of the 2016 season. 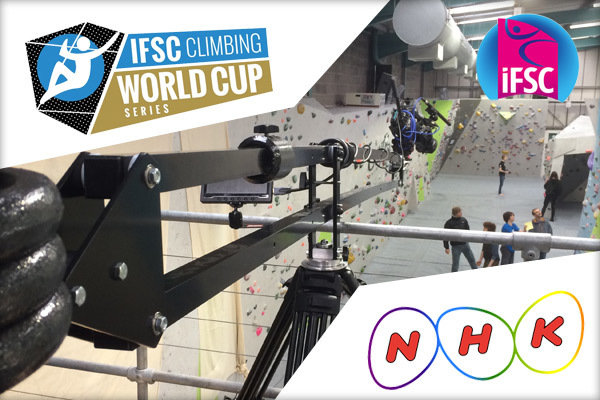 NHK, Japan’s national broadcasting organisation, has acquired terrestrial rights for the season and will begin by showing this weekend’s opening IFSC World Cup in Meiringen, Switzerland. Climbing will mainly be broadcast on NHK’s BS satellite channel, with the deal also allowing the continuation of extensive coverage on Sky A in Japan. The increased exposure in Japan could prove to be key ahead of IOC decision to be announced this year in Rio de Janeiro, with events popular in the country likely to have an advantage. The TV deal was agreed via a renewal of IFSC’s agency in Japan, Synca Creations, with the assistance of Broadreach Media, who have been an exclusive media partner for two years. The IFSC and Broadreach renewed their partnership for a further period last Autumn. If climbing is selected by the IOC, bouldering, lead and speed combined will be the two disciplines contested with a total of 40 climbers taking part in all.